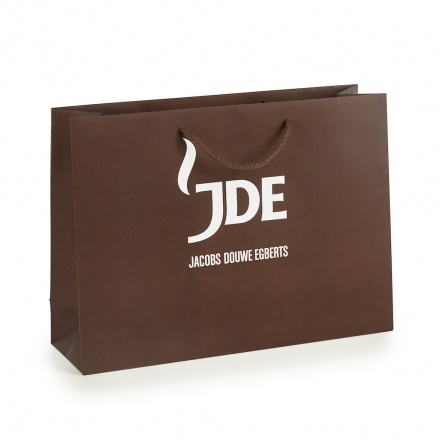 Soft touch, high quality paper bags printed with your bespoke design will make a lasting impression. Our Luxury Soft Touch bags are laminated with a finish that gives a luxurious, high quality feel to the surface of the bag. Add stylish ribbon, rope, grosgrain ribbon or die cut handles and this strong 200 gsm paper bag will represent your business with class and style. Available in a range of sizes to suit your needs. Example price for a product with single colour soft touch tint and one colour print on both sides.